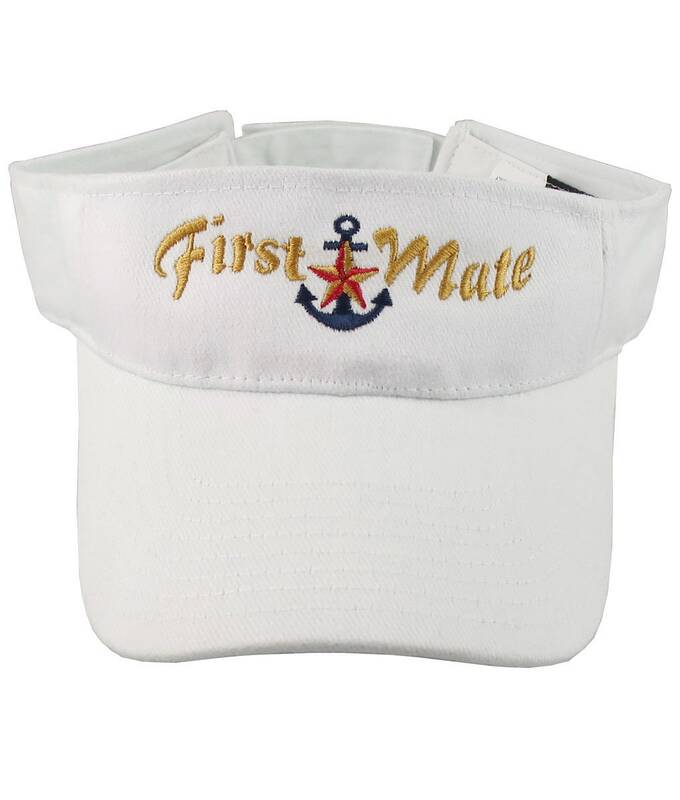 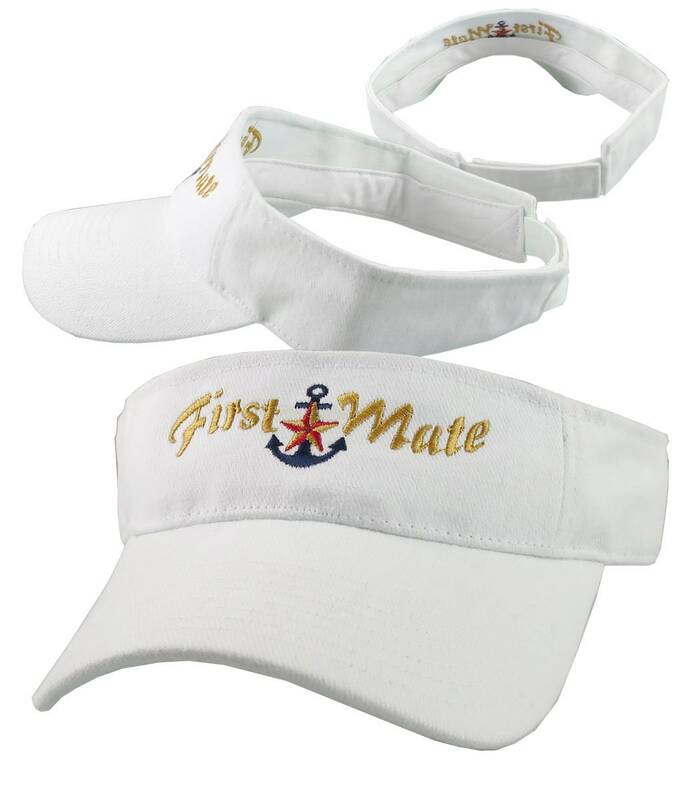 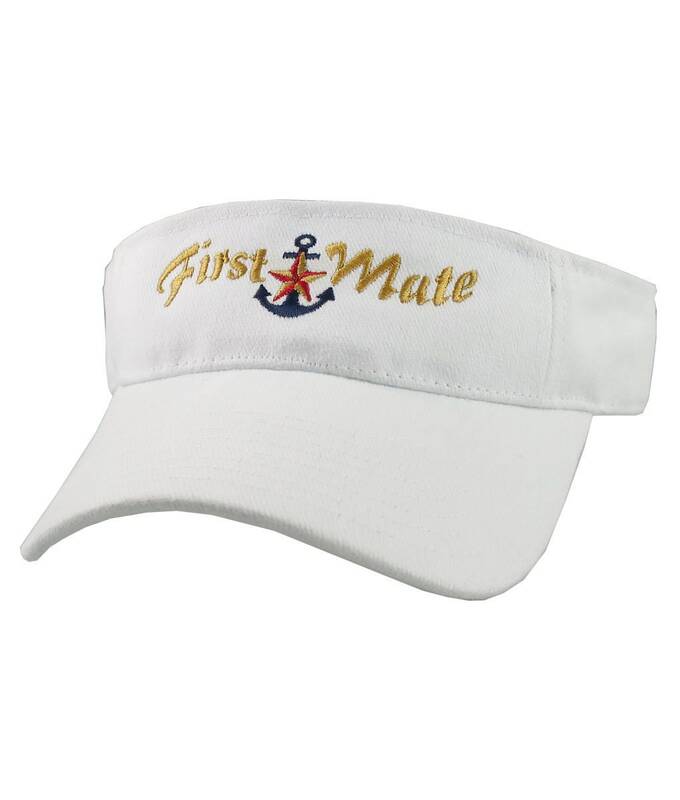 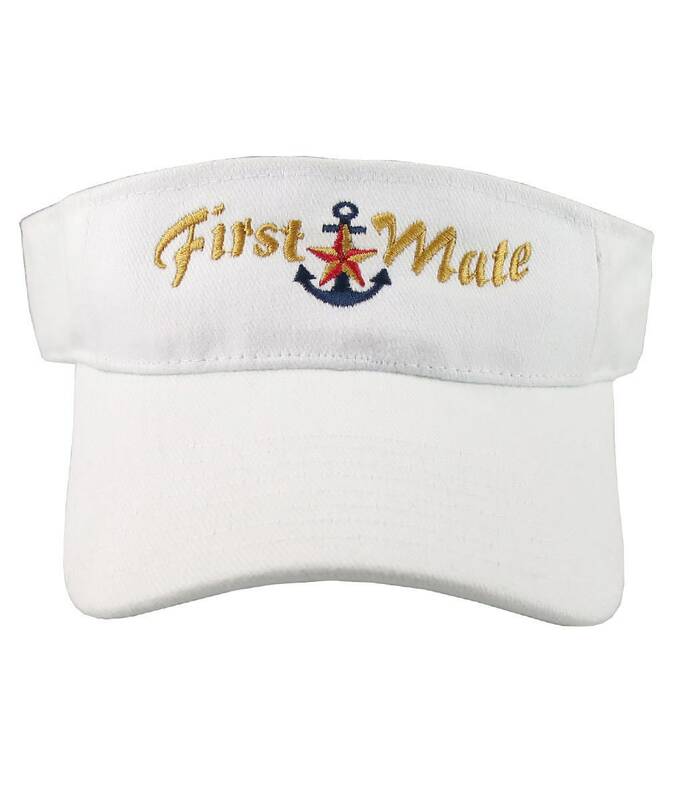 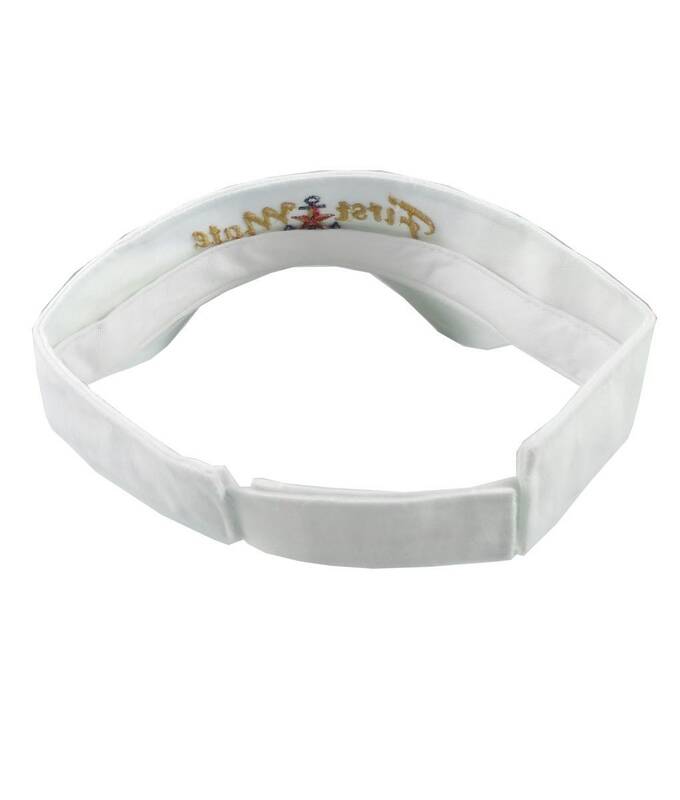 A First Mate done in embroidery on a nautical star anchor design embroidered on an adjustable sporty, comfy, white adjustable visor. 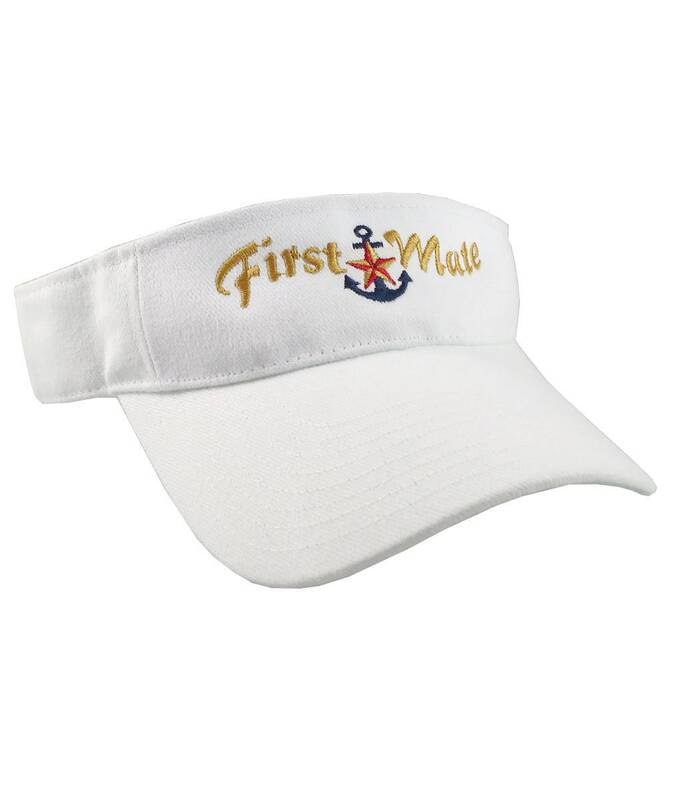 This summer hat is sure to make an impression on, or off the boat. 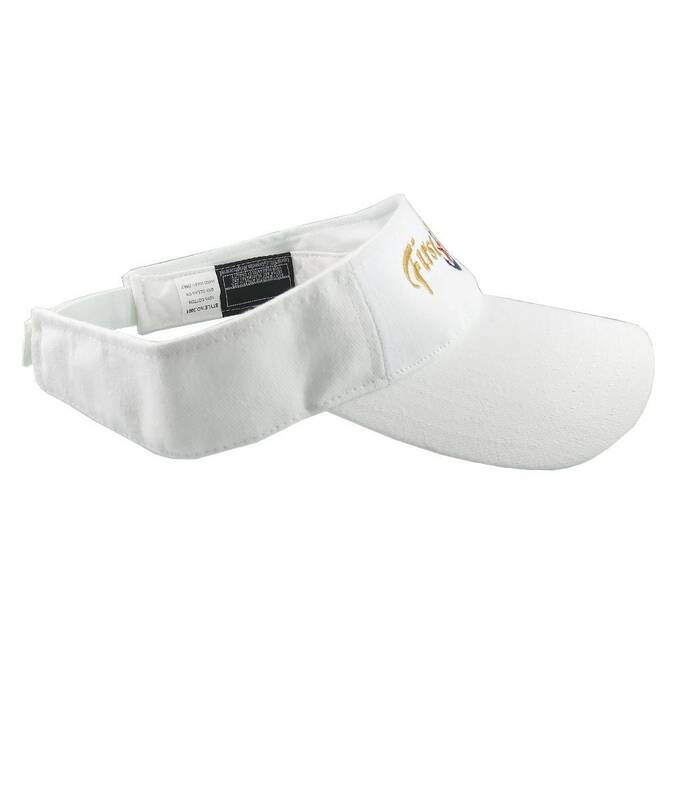 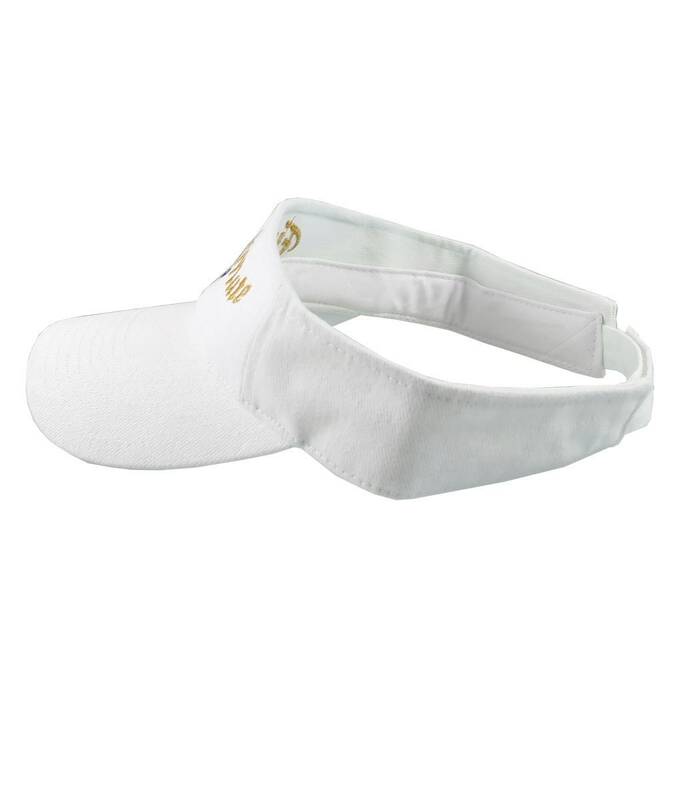 A Captain version is also available for this visor, use your buyer's note text box on your checkout page to let us know if it is the Captain you want.